Twitch is a revolutionary site has brought together streamers and their viewers for hours of entertainment. 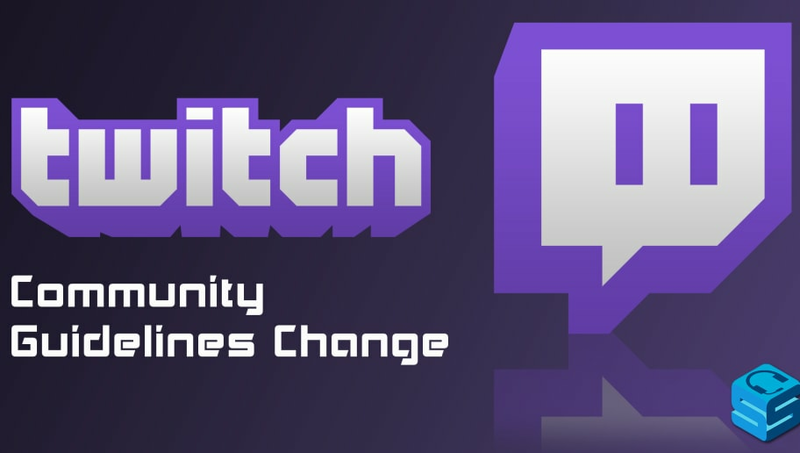 But Twitch isn't without its fair share of controversy and drama. Here are 15 streamers famous for the wrong reasons, some far more than others. Dimitri Raymondo "Greekgodx" Antonatos is a streamer with the infamous reputation of being a "leech," or someone who streams with other people to get recognition because they themselves are unoriginal. He first became famous by stream sniping League of Legends streamer Tyler "tyler1" Steinkamp. He can be spotted either playing League of Legends, reacting to videos, or joking around with other Twitch streamers. Overall, he is a very entertaining individual who is not as controversial as some other people on this list. Chance "Sodapoppin" Morris made his name through World of Warcraft and has become one of the most popular streamers on Twitch. He is a bit of a trash talker who is often banned by Twitch for his crude humor. His brand of humor brings accusations from some that he spouts hate speech. He released a famous statement during the Twitch "Thot" streamer controversy, yet he still remains popular with his fans for doing things his way. Jaryd "summit1g" Lazar is a former CS:GO professional who has played PUBG, Fortnite, and as of recent Sea of Thieves. He is an aggressive, trash talking streamer who finds himself banned quite often. His most recent spat came when he called out Saqib "LIRIK' Zahid for using the release of Atlas to inflate his views. His accusation of LIRIK "selling out" on Twitch led many people to call summit out as a "crybaby" stirring up drama for no reason. Tyler "Ninja" Blevins is the face of Twitch. He was known for playing Halo and PUBG but skyrocketed to stardom as the most famous Fortnite player in the world. His stream is seen by hundreds of thousands of people everyday, so what he does has a lasting impact on his young, impressionable audience. But controversy followed Ninja last year when he used the N-word on stream while quoting a rap lyric, and his strict policy of never streaming with female gamers in order to "protect his marriage' also caused a stir. Imane "Pokimane" Anys is seen as a smart, kind person looking to leave a positive impact on her viewers. However, recent allegations have opened up her dark side. She is quick to copyright strike much smaller channels who use her content, and in the video above, she is portrayed as a "ruthless" businessperson who calls out and bullies smaller streams who incorporate her content. Paul "Ice Posideon" Denino is a "life streamer" with an army of fans. He became infamous for being swatted numerous times, including on an airplane. He walks around with his mobile live streaming rig getting stream sniped and using edgy text-to-speech donations in public. His fan base, the "Purple Army CX," is very supportive of him, even when it came to light that Ice allegedly faked his relationships and content for views. Turner "Tfue" Tenney is one of the most skilled Fortnite streamers. He has been banned multiple times on Twitch for poor online behavior, including calling another player a racial slur and selling Fortnite accounts for money. His chat is known to be very toxic. They raid smaller streamers with a flurry of homophobic and racial slurs. It is unfortunate that such a talented player's stream sets such a poor example for younger players of the game. Steven "Destiny" Bonnell plays a variety of games on his streams, but he also offers numerous debates about controversial topics on his stream. He has been banned for extended periods of time for threatening other players, and using the N-word and homophobic slurs. Recently, he has reformed himself. He appeared days ago on the Jesse Lee Peterson show, where he stated his change in political views over time and acted respectfully on the show. Chad "Anything4Views" Roberts rose to fame as a collaborator on the numerous Youtube videos created by Filthy Frank, Maxmoefoe, and iDubbbz. When the group separated, Chad became an IRL streamer. He was permanently banned from Twitch after going on a racist rant in an RV with other streamers of mixed races. Recently, he has gone back to Youtube and currently hosts a podcast along with Maxmoefoe. Félix "xQc" Lengyel has made a name for himself for being one of the most entertaining streams on Twitch. He is known for screaming into the microphone and pounding his keyboard every stream. But the former Overwatch League pro's tenure in the League was ravaged by controversy. He targeted fellow player Austin "Muma" Wilmot with a homophobic slur, had a spat with an OWL caster, and spread Twitch emote among his fans in a racially insensitive manner. Trainwrecks is truly a wreck. He has a track record of horrible misogynistic comments towards women. He has been caught on stream berating female players while playing Overwatch. He downplays his derogatory, abusive language as satire, which makes his situation even more frightening. Recently, he has been accused of sexual harassment and aggressive behavior against fellow streamer Alinity. Kaitlyn "Amouranth" Siragusa has more than 500,000 followers on Twitch and streams a variety of content, though she often pushes the boundaries of what is allowable on the streaming platform. She was also accused of hiding her marriage to appear to her fans that she was single -- which, so what? But it did cause controversy among her fans and viewers. Perhaps less well known these days, Ali "Grossgore" Larsen streamed League of Legends and Runescape before he was banned for sexual harassment charges at a Runescape convention. He had been banned from Twitch in previous years and pledged to reform himself, but these latest allegations have confirmed Grossgore's misogynistic actions and comments. Mitch Jones is easily one of the most controversial streamers in Twitch history. He has made a name for himself by stirring up drama with other big streamers in order to boost his view count and subscribers. Originally a World of Warcraft player, he has broken friendships with many of the people on this list, including Sodapoppin, Trainwreck, and Greek. It remains to be seen whether Jones will ever repent for his actions, or will he forever stream causing petty drama for handfuls of attention.